There could be another 5% SPX added to this great V-shaped recovery rally from the deep recesses of gloom & doom for the BULLS but the market is not on a ST TOPPING phase that could be extended to an IT TOP and return to the December lows. 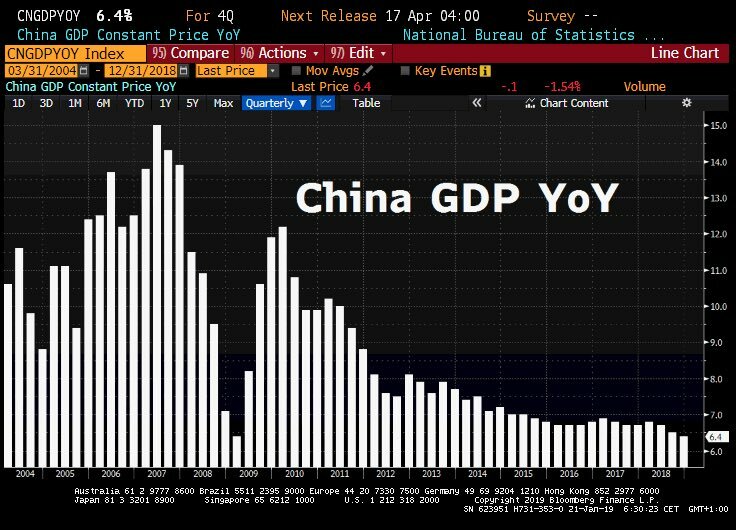 However, there are still a few more reasons for spikes up - resolution of SHUTDOWN, more "progress" in CHINA/US Trade war although most of that has already been priced into the market, and even more dovishness from the FED but there hardly seems to be any of that left in the FED cupboard after they fell all over themselves - looking very foolish in doing so, as if they were scared of further market decline - trying to talk the market up after the bear raid in December. This is a problem for the bulls, unless the FED can do this gradually and slowly, stealthily, during the next few months. Depriving the market of easy money does ONLY ONE THING: send it down! 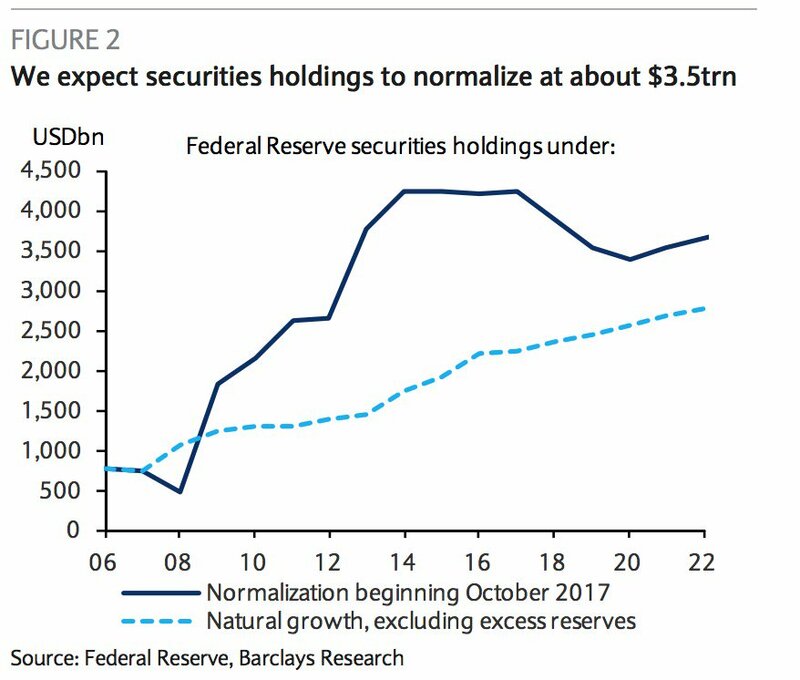 Barclays expects the #Fed’s goal is to shrink its portfolio of securities holdings to about $3.5trn, $500bn below the current level of $4.05trn. $3.5trn would leave the level of excess reserves at about $1trn as an additional buffer to prevent increased vol in short-term rates. At unsustainable levels --- expect a ST reversal soon. Earnings kicks into gear. Regurgitating the thought of the prior recap: “We enter the week extremely overbought”. Short term: No matter how many times you see it, when these 180 degree turns happen in the market, they can take the breath away. This chart is startling – rarely do you ever see the the NYSE McClellan Oscillator over 70 for a day; currently it’s been sustained over that level for over a week. For 70, this is an extended run in the 100s. Wow. Here is a 3 year NYMO chart to show how rare this is – last time we can see any action of a similar sort it was 2016.
remember how excited everyone was this time last year? Lots of bears out there but market conditions now do not appear to favor a huge drop. EARNINGS - actual, revisions, future guidance - will determine what happens next. 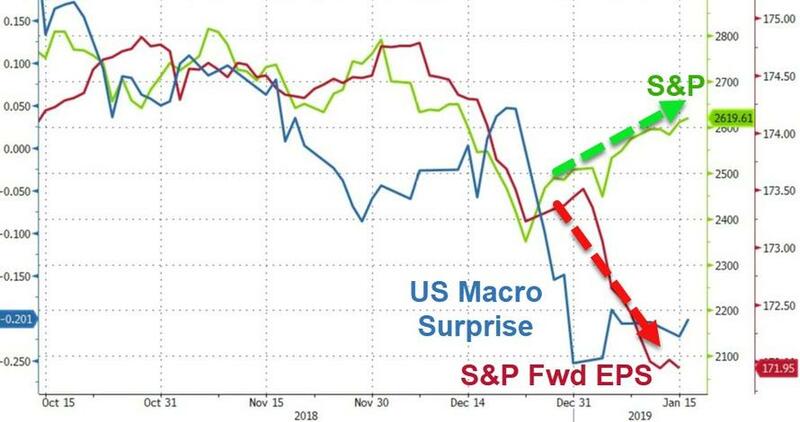 So what’s the evidence that a retest of some sort is coming? Firstly let’s note that the oversold conditions of December are increasingly producing overbought conditions now. From 1 to 60 in a straight line. 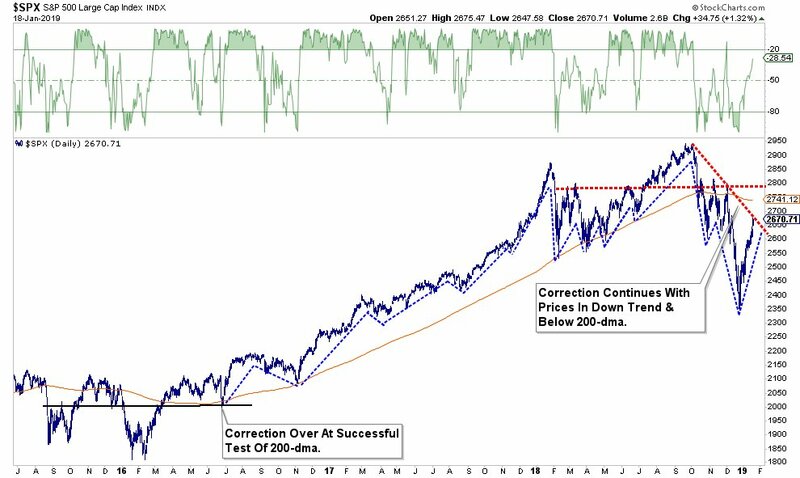 We’ve seen a similar move during the 2016 lows, but then a retest emerged which was ultimately a buy as central banks stepped in in a big way. We’ve not had a retest of any sort yet, but technically it would not surprise. And it’s reaching these overbought readings while still being below the 200MA and while approaching its broken trend line as outlined earlier. Just saying. Deep negative runs in $USHL tend to produce aggressive counter rallies that bring $USHL back to positive, in many cases however only very temporarily before a retest or new lows emerge. This rally has now achieved this. A slight positive reading. It has room higher still, but a renewed turn toward negative is consistent with major counter rallies. Even during the big bull run we saw such turns in 2011 and 2015/2016.